Our Luxury Straight is extremely durable, full of body, and full from weft to ends. This hair hold curls very well in humid weather. You are able to treat this hair as you would your own hair. 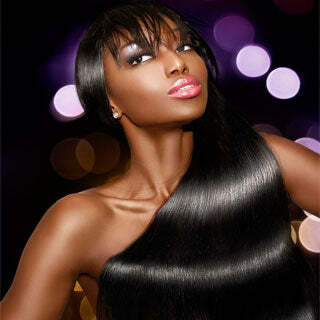 You have the ability to dye, flat iron, blow dry, wash and style this hair as you please without losing its authenticity. What makes our hair more superior than any other hair on the market is our exclusive double weft construction which guarantees little to no shedding and absolutely no tangling! Each Bundle weighs between 3.5 - 3.7oz and 3-4 bundles are recommended for a full install. Length 12" 14" 18" 22" 24" 28"
Length 12" 14" 16" 18" 22" 24" 28"